So having had a few days of beer at the Oktoberfest, it was a pleasure/delight and relief all rolled into one to wake up and be heading for the mountains. 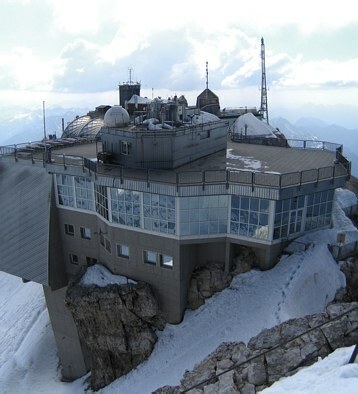 The Zugspitze is the highest mountain in Germany, at 2,962 metres above sea level. 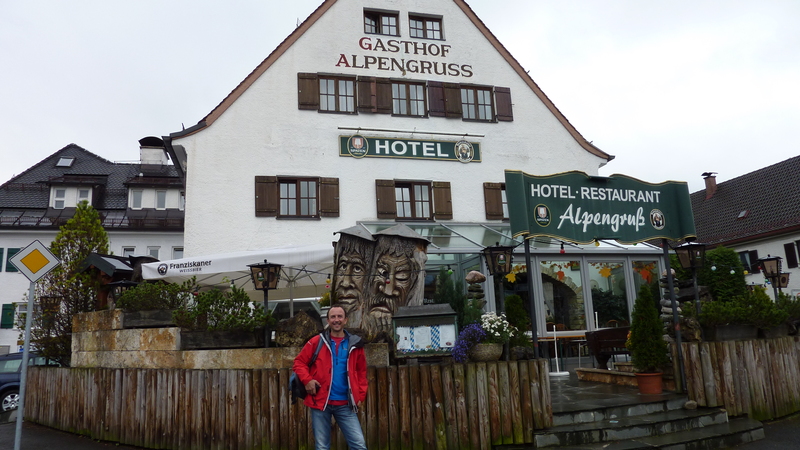 It is located on the Austrianborder beside the town of Grainau in the district of Garmisch-Partenkirchen, in the federal-state of Bavaria. On the Austrian side lies the town of Ehrwald in the district of Reutte, Tyrol. 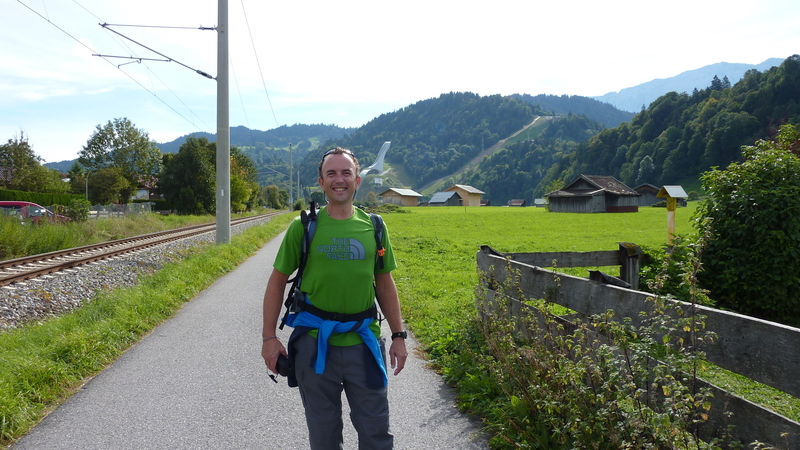 We headed off to Garmisch-Partenkirchen by train after an early start, and carried just what we needed for the next few days on our backs. I had booked us into an alpine hut, called the Reintalangerhutte, which was half way up the mountain, for the Friday night, and we would need to walk all day after arriving just to get there before nightfall. By the time we were on our route at the base of the mountain itself it was around 11am, following a little bit of ‘ahem’ bad planning by me (in fact I had no idea which direction our route was going to take us at all, but ‘all’s well that ends well’, as they say:)). Stopping to ask someone how far away the Reintalangerhutte was, we were told six to seven hours, and so figured we’d need to move quickly to ensure getting there before darkness fell. 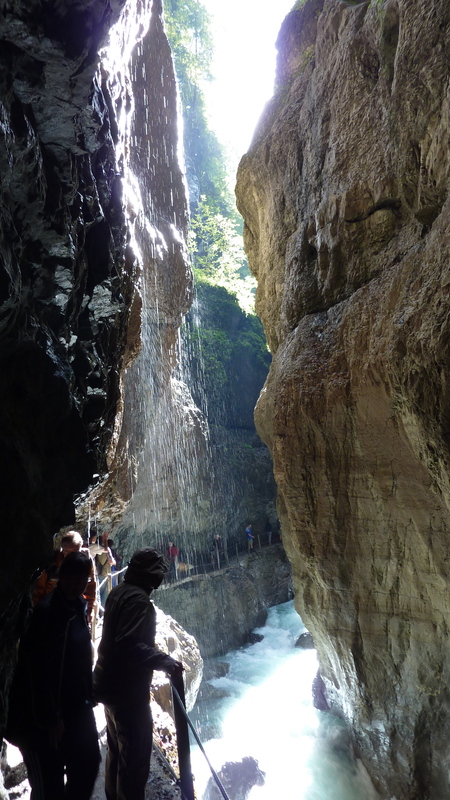 Part of the path plunges you into total darkness, and then you are out to the incredibly loud torrents of water flowing from the mountain. It is glacial meltwater, and an incredible shade of blue. It is literally one of the most stunning things I have ever seen. And this was where we stopped for lunch - glorious! From here the walk began to get much steeper, and we walked for another four hours or so, the path following the river all the way. 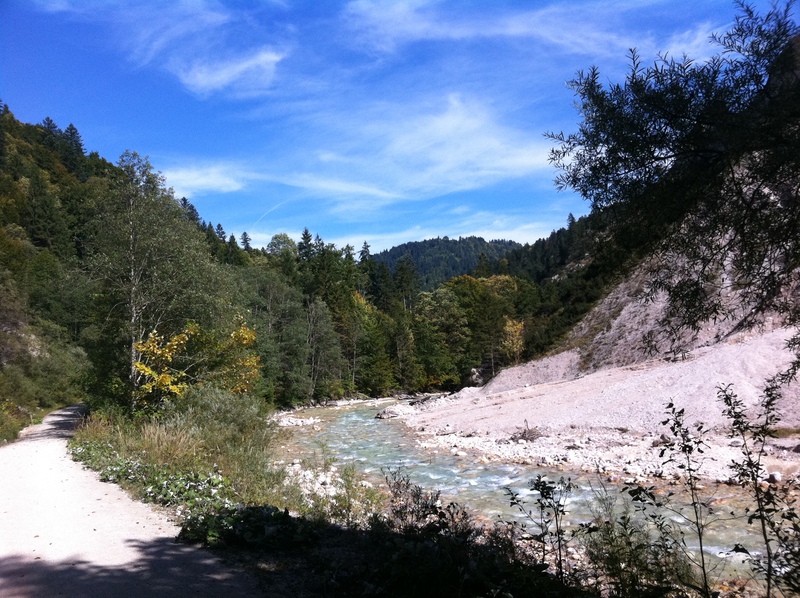 The weather was so hot all the way, probably 25 or so celsius, and very warm for climbing uphill. 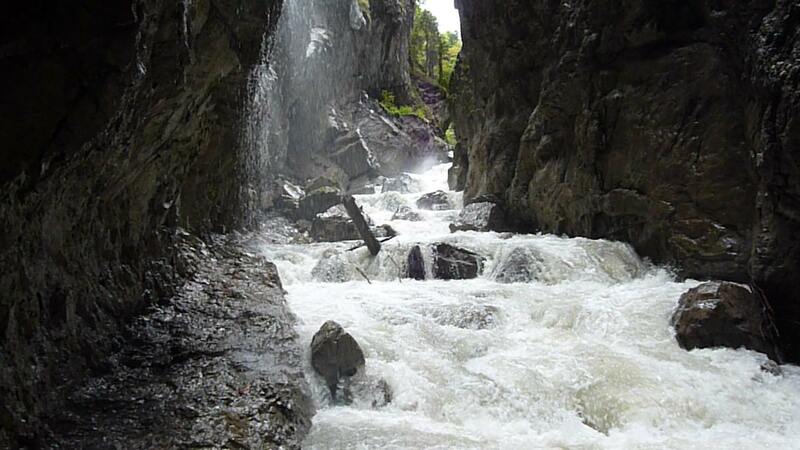 I was very glad of my Camelback, and went through almost three litres of water. We passed huge waterfalls and saw the river in almost every stage, albeit it was clearly a very quiet time of year for it – in the spring after the snows melt it must be totally incredible. I made a note at this point I think to say that I needed to come back here, I was engrossed and awestruck by the majesty of this place, it just felt really special. 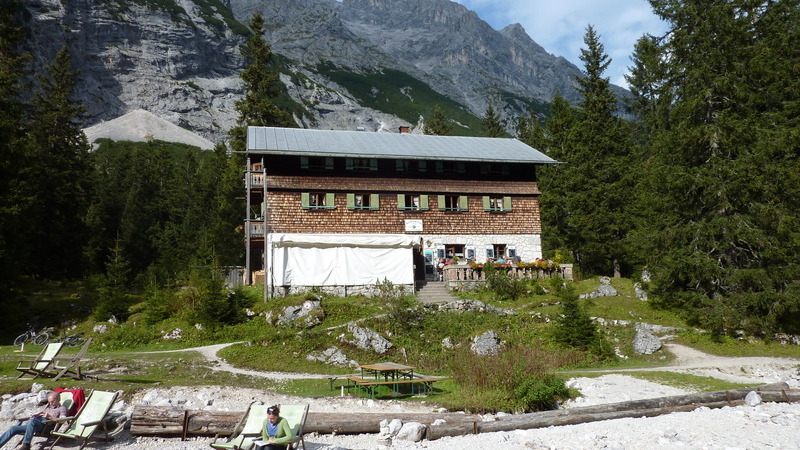 At about 4pm, and earlier than we expected, we came to our mountain hut. It was bigger than I expected it to be, and quite imposing. 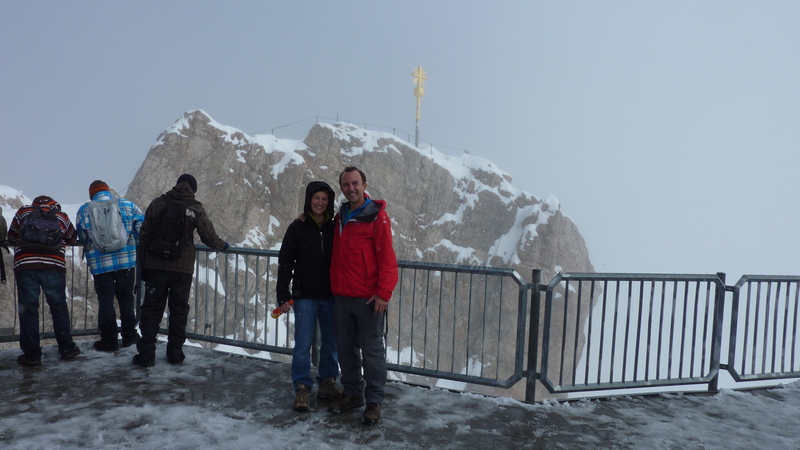 It was at about 1,600 metres, or 5,200 feet, basically about half way up as far as ascent of the Zugspitze was concerned. The hut sleeps about 60 people in total I believe. 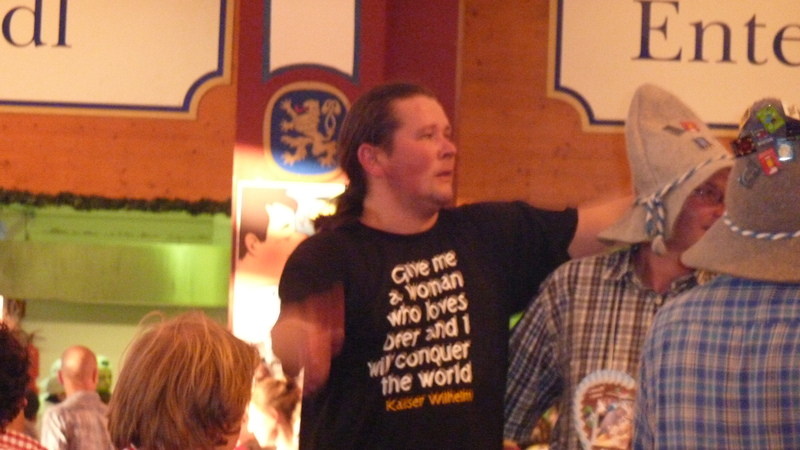 The best way I could describe it was to be very, well ‘German’. The chap who runs the place, Simon, did an excellent job, and also speaks English, which was certainly a blessing, even though I can get by in my pidgin German. 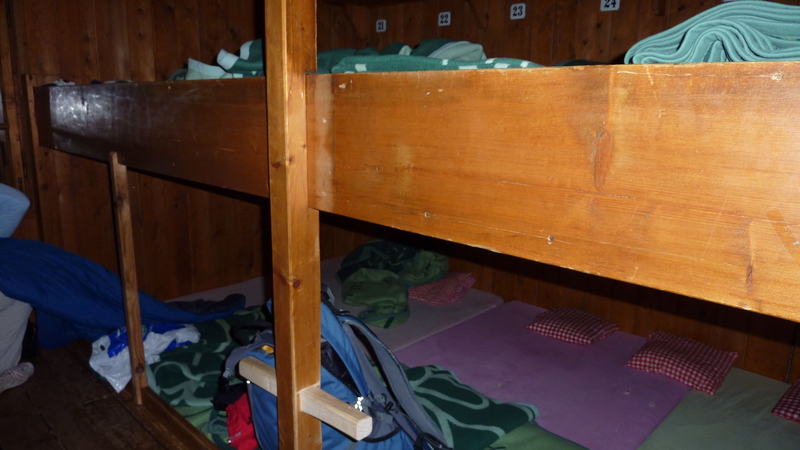 The accommodation is basic, but clean, and was certainly very welcome. After a hearty dinner, and a few glasses of beer, it was off to bed. We were to be woken by the staff at 6.30am for the trek to the summit. Before we went off, the weather outside turned wet and cold all of a sudden. I spent what I can only describe as a fitful night listening to the rain, and was awake by 4. 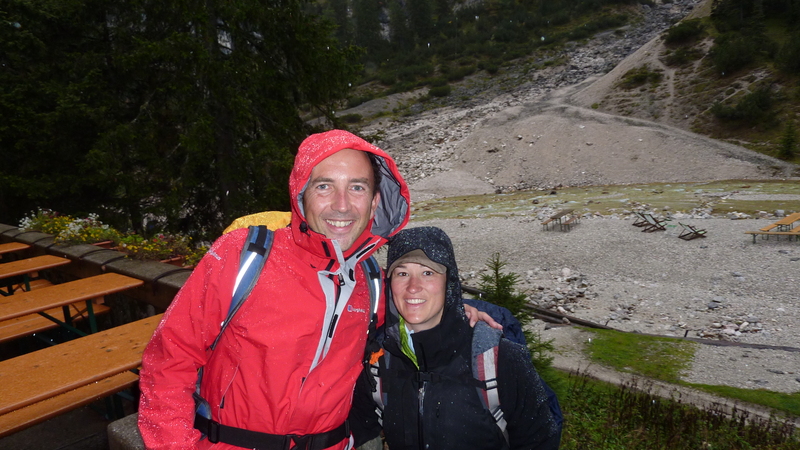 I was rather worried that at the altitude we were at, that the path might become tricky higher up. And by morning, sadly, that was to prove very much the case. 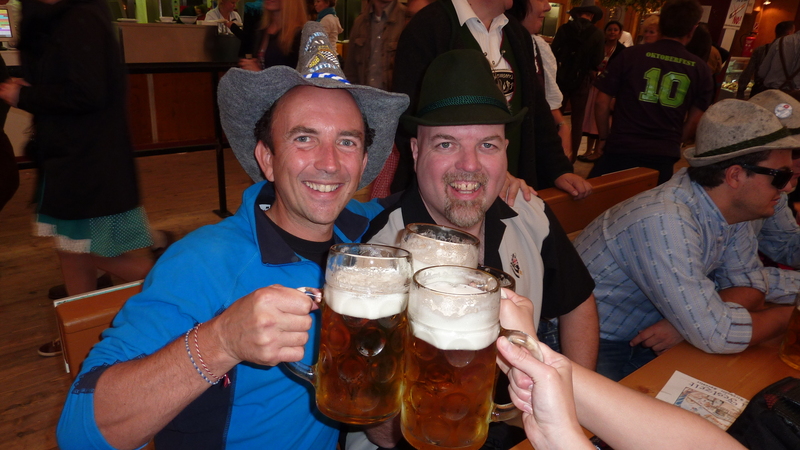 So I have almost recovered now from the Oktoberfest, having been now back home for over a week. I still have bruises, am still tired, but the hangover has at last gone. Just. What will not fade ever is the memory of it all. It was utterly fantastic, and way way better than I expected it to be. 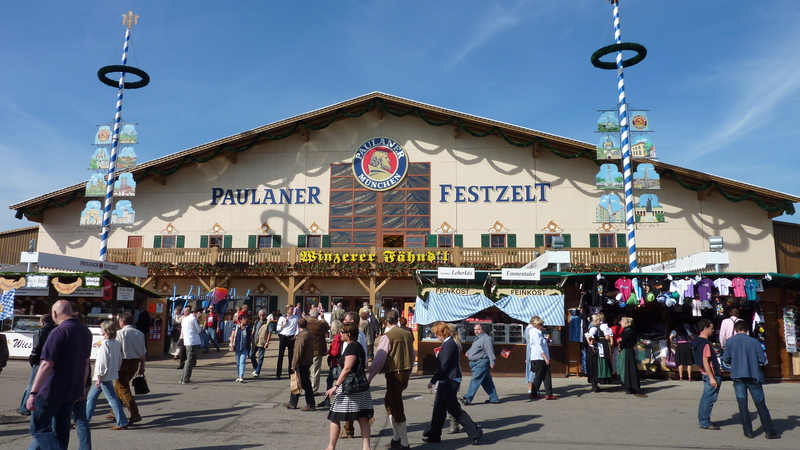 For those who don’t know, Oktoberfest is a 16- to 18-day festival held each year in Munich, Bavaria, Germany, running from late September to the first weekend in October. 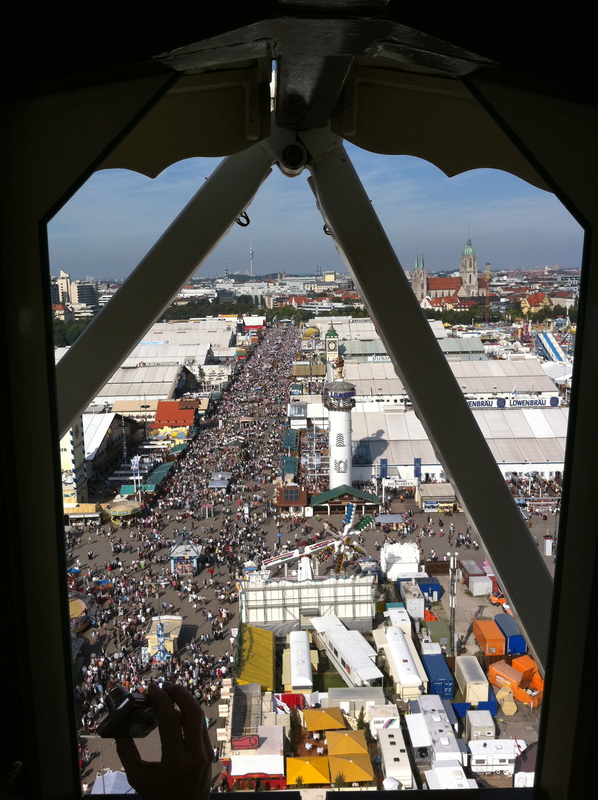 It is one of the most famous events in Germany and the world’s largest fair, with more than 6 million people attending every year. This year I think they had 6.4 million people. It is a combination of a massive fairground, and massive beer tents, holding between 6,000 and 10,000 people each. The drinking starts at breakfast time and continues until everyone cannot drink anymore, which for some is by lunchtime. The above is a fairly tame version I found on YouTube, but you get the idea. From the Ferris Wheel, lunchtime, Tuesday, probably. As the day goes on, if you are still capable, you get to experience an evening. I can only describe the evenings as completely and utterly insane. Imagine about 10,000 Jim Carreys at his wildest, on acid, and you are half way there. The music takes you from Abba to AC/DC, from Robbie Williams to Frank Sinatra, from “Sweet Caroline” to “Sweet Home Alabama”. You know the words to every song, and you sing your head off. You stand on the benches or on the table, because everyone else is doing the same, and you act like a demented drunken idiot, because in fact that is exactly what you are. I have tried to upload Sweet Caroline on video – to give you a little idea of just how well we all can sing:), but it doesn’t seem to have worked – oh well, probably just as well! 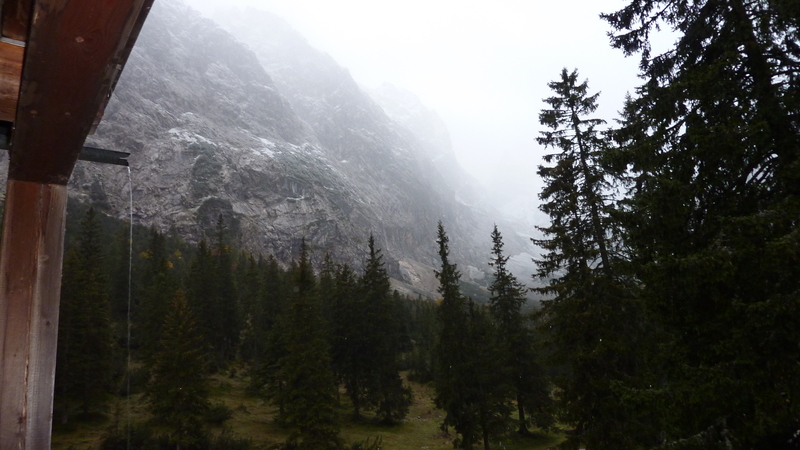 I will leave the Oktoberfest for now, and then tell you about in my next post about the Zugspitze, which was certainly a tale of two distinct sets of weather, and a lesson in respect for mountains. 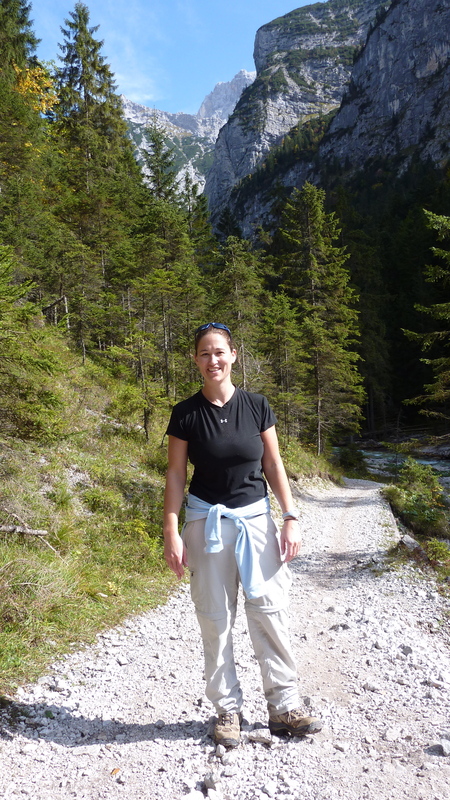 Cycling, Oktoberfest and The Zugspitze! Pretty random combination of things right there don’t you think? I agree! So first to a cycling update. I have been cycling! I went out on both Saturday and Sunday around Wallingford in Oxfordshire. My current schedule says that I should be doing 10-15 miles on each of Tuesday, Thursday, Saturday and Sunday, and what with all this being away stuff then I have not been as diligent as I might have been. So inbetween spectatoring at a six-a side under 11s football tournament on Saturday (well done Ed! ), and then marshalling at the Thames 10k run on Sunday morning (well done Mel, you were fantastic! ), I got a couple of rides in. I went on both occasions towards Nettlebed and Ewelme and RAF Benson, and did about 12 or 13 miles on both occasions. It was hot on both days, and so pretty hard work for me right now in my current state of unfitness, but rewarding nonetheless. I definitely need to get this thing into a routine, or I am not going to be anywhere near ready for this ride in September. I am already worried about it, especially the first day. 96 miles with about 7,000 ft of ascent is going to kill me, especially when I then I have to get up and do the same thing again for four days running. So last night (Tuesday) I went out also. My legs were (I am ashamed to say) pretty tight from the weekend (told you I wasn’t match fit yet didn’t I), and I wasn’t even sure how far I would get. As it turned out all went fine, and I had a great ride. I did 16.2 miles in 56 minutes, my best average so far, and so I was quite happy. I know I have a long long way to go with this, but that is the best I can do right now, and so I will keep persevering. Oh and also I have ordered my nice new shirt for the GBBR – there is a piccie of it below, and we get them as part of our entrance monies. Apparently all 200 riders (hope I am still one of them by them!) will wear them as we ride into Twickenham together on September 4th – should be great! So where you might ask does the Oktoberfest and the Zugspitze fit into this? 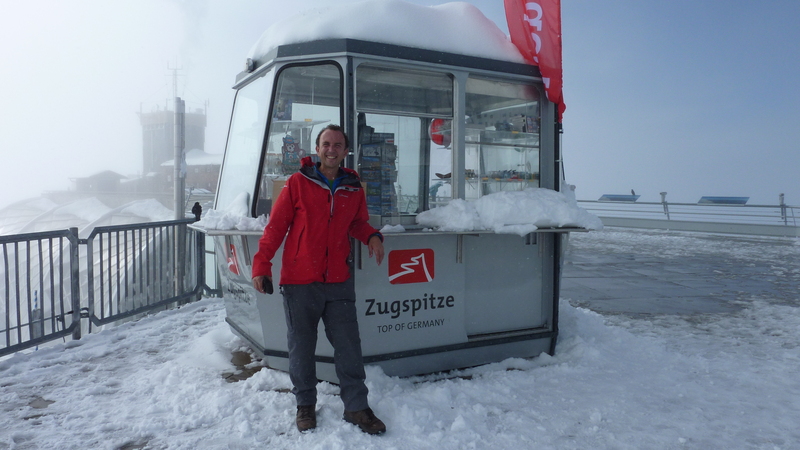 And what in fact is the Zugspitze, I hear you say also. Well, since staying with Heather last week you may know that we are plotting to do a little (!) 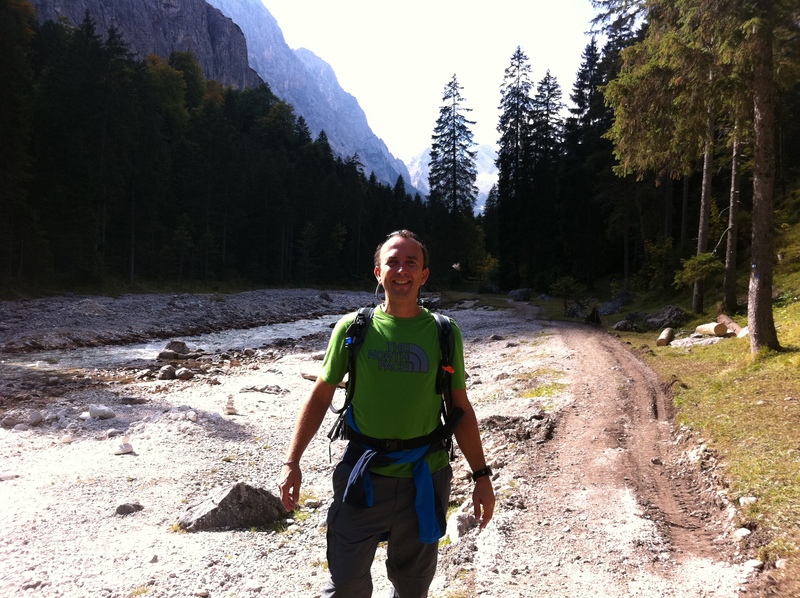 trek next year, possibly Aconcagua (in our dreams perhaps). Well there was a little gap in this year’s schedule, and I mentioned to her that I had always fancied going to the Oktoberfest in Germany. So Heather said “I’ll come!”, and that was that! 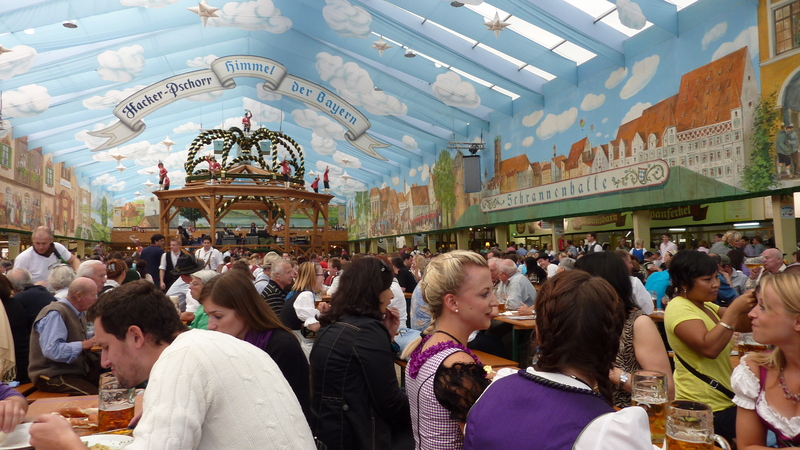 The Oktoberfest is of course the world’s largest carnival, with about 8 million attendees. Most people (like me:)) will be there for the beer tents and the sausages, as I will be able to indulge heartily in both as it will be about two weeks post the GBBR. 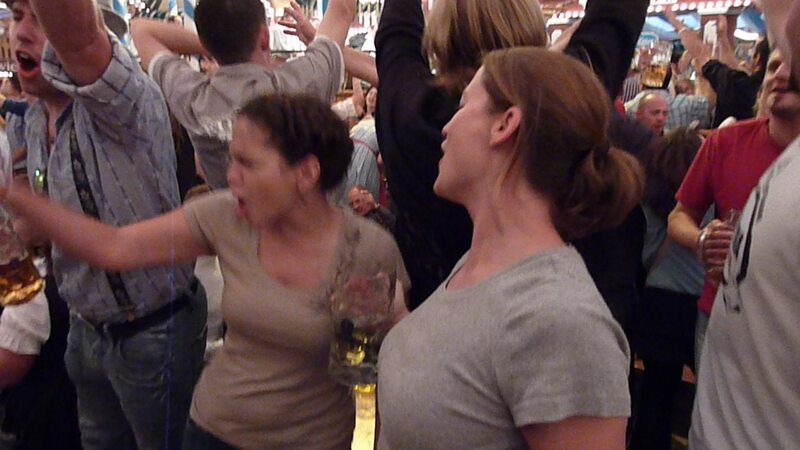 And then whilst planning the Oktoberfest Heather mentioned that her not being a big beer drinker might mean that she didn’t envisage spending three weeks there just drinking beer. I thought that was a bit selfish personally, as I think three weeks of beer drinking is a perfectly normal thing to do, and I may well need someone to carry me out of the beer tent each evening:). 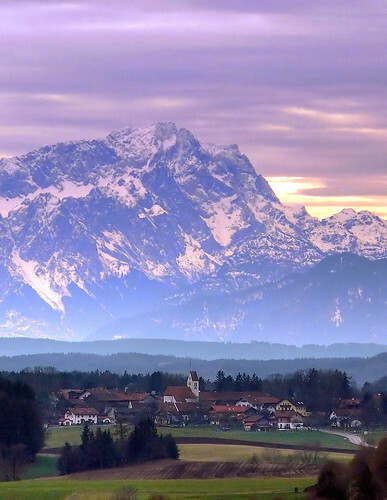 So anyway, I agreed, and suggested that we combine said little trip with a little walking too – well it would almost be rude not to, as we will be at the foothills of the Bavarian Alps, an area I absolutely love. 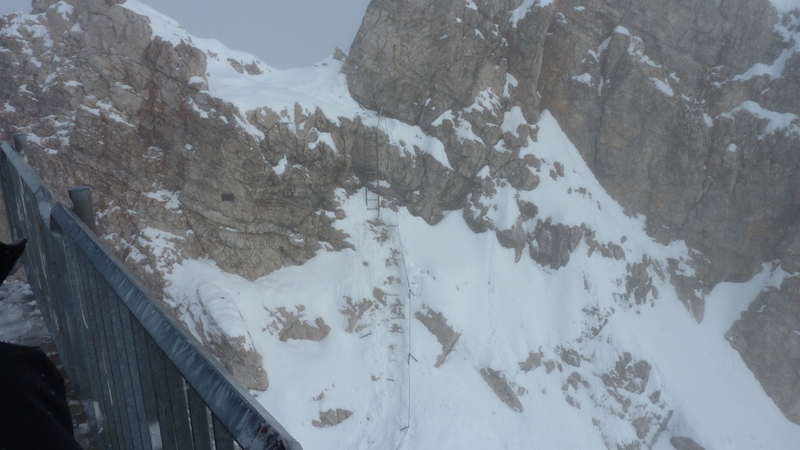 This, ladies and gentlemen is the Zugspitze. 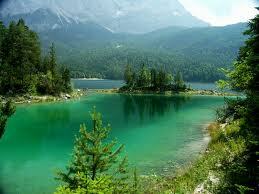 The Zugspitze is the highest mountain in Germany, at 2,962 metres (just under 10,000 ft) above sea level. Impressive huh? Apparently you can get up it in about a day and half, and so it is going to have to be done! So we are off there, subject to sorting out the logistics, towards the end of September. And so it looks like September, with the GBBR at the start, and the Oktoberfest and the Zugspitze at the end, is going to be a busy month, although not so at work. Hmmm, maybe I should book the time off work pretty quickly……….